Concrete tiles have long been a staple of outdoor design. From garden paths to patios, few tiles can boast the enduring appeal of the classic concrete paver. Rather than lose its appeal over time, this fixture of flooring fashion has somehow managed to maintain its cool in the face of resounding competition. 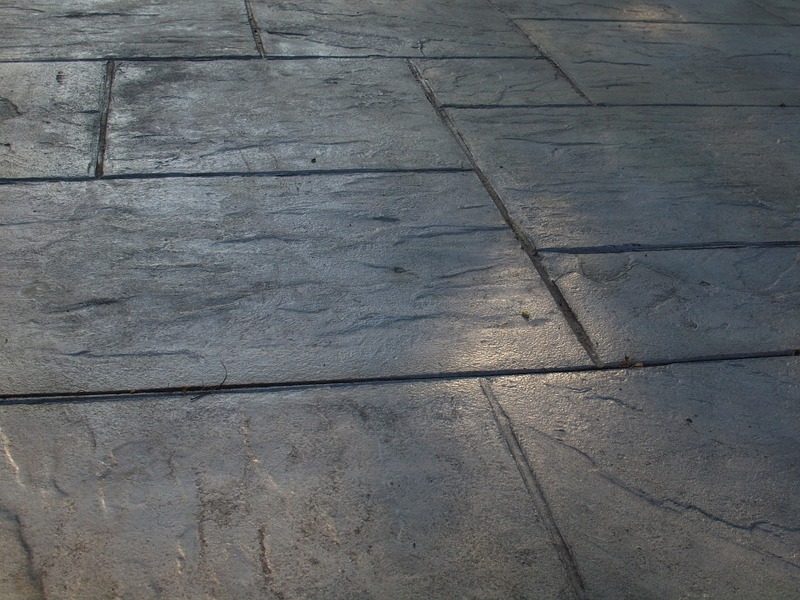 In fact, recent years have actually seen concrete make a stony resurgence in the home, proving once more that the persistent popularity of concrete paving is truly set in stone. However, this is the 21st century after all, and even a classic can reinvent itself and move with the times – which is exactly where our stone-look concrete pavers come in. 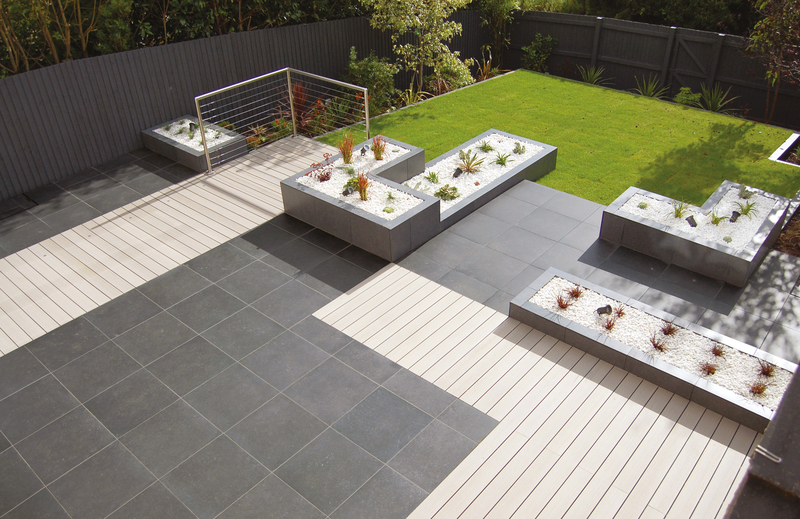 Outdoor porcelain is the new breed of external paving tile. Blending the aesthetic style of a traditional concrete paver with the superior durability of modern materials, the modern incarnation of this enduring fixture brings porcelain powered practicality with all the visual effect of the original. Concrete-look pavers offer a stylish, industrial look that has become increasingly popular in design circles as of late. Proving that cyclical fashion even extends to the world of exterior home design, what’s old is new again in the world of tiling and concrete-look pavers are once again a prominent fixture. Bringing the humble paving slab kicking and screaming into the modern day, porcelain pavers offer a myriad of benefits that not only match their original counterparts but supersede them in almost every way. If you think you have to sacrifice looks for low-maintenance upkeep, think again. Our porcelain tiles bring with them every bit of the visual allure of the real thing and our concrete-look range is no exception. Forget the precast, mass-produced, stainable flooring of yesteryear; our faux-stone porcelain is the next evolution of the concrete paver and is not only visually more appealing and durable but also far easier to install. Best of all, most of our outdoor tile designs can be coupled with our indoor tile ranges for a seamless transition from outdoor to indoor design. Whether or not you choose to go complete concrete with your design, the fact remains: there truly is no substitute for porcelain if you want a flooring design that looks great year after year. At Prima Porcelain, we offer a wide range of porcelain pavers to ensure you’re not short on options, whatever your design preference. Combining two of the most popular colours in outdoor paving, the Concrete Griege is a classy tile with contemporary style, offering a unique blend of grey and beige tones in one porcelain paver. Providing a modern finish that’s built to last, this statement tile is the perfect addition to transform your external space into a beautiful outdoor living area. If you’re looking to brighten up your external property with a lighter touch of concrete colour, our Concrete Silver paving could well be the paver for you. Offering instant radiance to any outdoor space, this silvery slab will bring some shine to your outdoor design with stone-look style that lasts. The darkest of our concrete-look range, these shady pavers bring an element of elegance and distinction to your outdoor design for a truly stunning finish. Blending the natural beauty of an authentic concrete tile with porcelain powered practicality, the Concrete Grey has the ability to reinvent an outdoor space, without straying too far from its natural stony allure. So, there you have it – concrete style with a modern twist! What are you waiting for? Head over to our outdoor paving pages and check out our concrete-look porcelain pavers. Click the button below for a free sample pack and see the power of porcelain for yourself! Renovating your outdoor space can be an expensive endeavour, particularly if you run into unforeseen issues along the way. If you’re looking to give your garden an underbudget overhaul, porcelain could be a surprisingly economical option that pays dividends for years to come. Don’t believe us? Let’s take a break from laying tiles and lay down the facts with this handy blog on just why porcelain may be the cheapest patio flooring for you long-term. Okay, before we get into the nitty-gritty of our porcelain patio products, let’s take a quick look at the outdoor alternatives. One of the most popular external flooring options outside of porcelain pavers is the equally popular outdoor favourite – decking. A fantastic flooring option in its own right, decking has been a national favourite for decades. However, if you’re looking to create something other than a wood-effect design for your outside space, decking is very much going to be left out in the cold. What’s more, modern composite decking can be expensive and, while it does have the edge over traditional decking in terms of upkeep, it probably won’t tick the box when it comes to budget solutions. 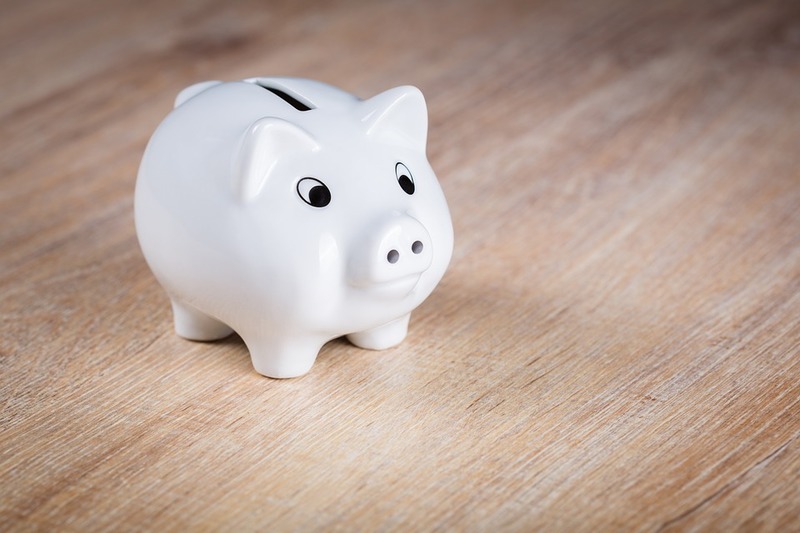 Conversely, cheaper decking options will require exponentially more time and money in maintenance, which defeats the object in terms of saving money. Meanwhile, another hugely popular patio preference is another outdoor classic – stone. Transcending trends and eternally enduring, natural stone tiling – such as granite, concrete, limestone and sandstone – has long been a go-to for outdoor design. It’s tried, it’s tested, it’s universally accepted – who are we to argue with centuries of popularity? Luckily, we don’t have to, because the facts speak for themselves! Stone-look porcelain is far superior when it comes to both durability and practicality in the home, while the perks of low-maintenance make it surprisingly economical for both time and cost. What’s more, natural stone isn’t particularly cheap either – from a purchasing perspective or an upkeep point of view – once again leaving it trailing behind in terms of cost-effective flooring options for your patio. So, with decking and natural stone both off the table as far as cheap solutions to your outdoor flooring woes, what other options are available as affordable alternatives? Sadly, cheap and cheerful isn’t always so cheery… or even that cheap when you take into account the need for maintenance and eventual replacement. The above options, while initially economical, are highly unlikely to last any length of time without becoming worn, haggard or damaged. Worse still, these materials don’t actually fill the void of a genuine patio. To truly be considered the real deal, a patio requires paving. When it comes to paving, there’s only one true king and it comes in the form of porcelain. If you’re looking to truly save money on your patio without economising on quality, investing in porcelain could pay off big time in the long run. Long-lasting with none of the upkeep you would get from an inferior product, porcelain is not only the most reliable option, but it may also be the most convenient. The low-maintenance properties of our porcelain-powered pavers give them the edge over inferior materials. Built to last, you won’t have to replace them any time soon, nor will you have to spend time and money cleaning them during their stay. Once laid, your floor is there to stay and look great along the way. In addition to the visual and practical benefits and of our beautifully crafted yet extremely durable pavers, all of our products come with a 10-year warranty, giving you peace of mind should the unlikely occur. With so many upsides to porcelain paving slabs, why not give us a call on 029 2080 3756 to find out more? Alternatively, click the link below to order a free sample and see for yourself! For many homeowners, the space outside the home can often become neglected in an unfortunate case of “out of sight, out of mind” – until the summer, at least. But it doesn’t have to be that way. In fact, your garden could be a real showpiece of your property with a little imagination and touch of TLC. Why not make the most of your outdoor space and give it a shot in the arm with a stunning porcelain makeover? A few simple additions can make the world of difference, so why not bring the style with outdoor tiles and create an external design that’s truly divine. When it comes to creating a beautiful outdoor tile design, few products can compare to the almighty power of porcelain paving. Practical and low-maintenance, our pavers are built to last with superior thickness for durability. Best of all, they won’t fade or stain and are both frost-proof and slip resistant. However, a good outdoor design isn’t just a case of pick a stick – there are a few things to keep in mind when choosing an outdoor paving tile. From the wonderfully weathered charm of a wood-effect paver like a Forest Grey Larch to the dark and stormy statement of a Travertine Grey, a simple choice of tile can completely transform your outdoor design – so it’s important to get it right. However, the actual finish can also have a dramatic effect on the overall presentation of your outdoor design. Most of our outdoor pavers come with a beautifully textured surface to provide an aesthetically pleasing finish that’s equally appealing underfoot. Best of all, style and comfort comes with grip and traction, making for a fine tile that doesn’t lose its practicality, even in wet conditions. 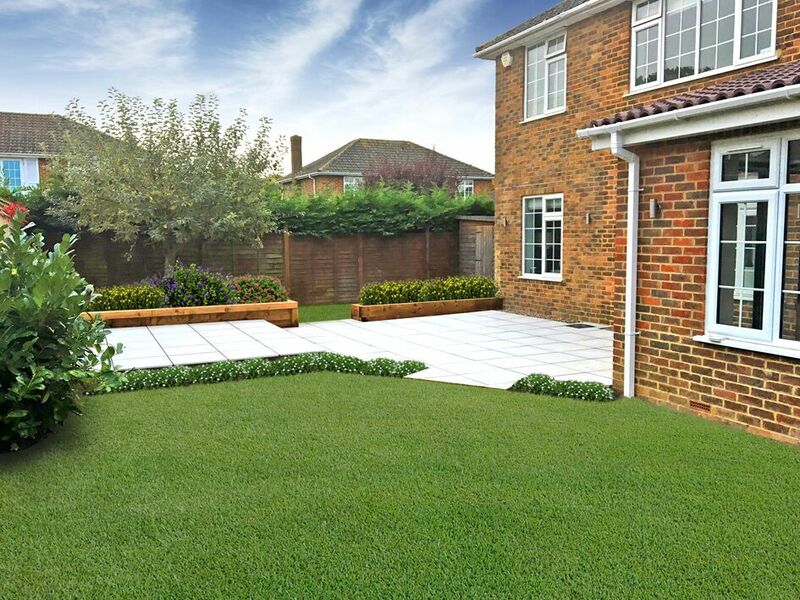 When it comes to incorporating paving slabs within an existing or prospective lawn, our pavers are more than up for the challenge. Porcelain paving slabs can make for a great garden path, adding a stylish pathway to your lawn, while also minimising the spread of mud and dirt through to the house. Meanwhile, a porcelain patio can make for a fantastic complement to your lawn and make a great centrepiece for barbecues and parties under the stars. To give your tile design a well-rounded look, you may also want to incorporate borders or paver edging to separate your paved area from a lawn or plant bed. While the majority of our tiles come in square or rectangular sizes, there’s no rule to say you can’t get creative with the layout. Uniform design does create a flawless finish that’s pleasing to the eye but a dose of creative flair can be equally as impressive. Paving tiles can be used in a litany of ways to create a myriad of effects, patterns and shapes that will make your garden look truly special. A mix of rectangular and square tiles in varying alignment can look truly awesome once complete, while mixing and matching a set number of tiles can create a mosaic effect that’s mesmerising. Meanwhile, strategic paver spacing complete with pebble-filled gaps can look even more impressive than tightly aligned tiles, while also making the most of the space you have. The limits to your outdoor design ideas are truly endless and certainly don’t stop with the parameters of a single tile. Why not grab yourself some free samples to get your creative juices flowing? Click the link below, pick up to three samples you like and see our top-quality tiles for yourself! For many people, creating a contemporary-looking home is everything they've ever wanted. Whether it's created from scratch or re-designing a home with a traditional feel into a modern masterpiece, the idea of owning a home that possesses the latest trends and styles is a goal that many homeowners want to achieve. To do this, there are a lot of things that need to be considered; from furniture to lighting and more importantly, flooring. The flooring chosen can dictate the entire design of a room or house, therefore it is crucial that when attempting to achieve your modern plans, the right flooring material is used. We believe that a number of the porcelain products offered here at PrimaPorcelain act as the ideal flooring option for creating the perfect modern space. A selection of our modern porcelain tiles is showcased below for you to browse and hopefully, envisage within an interior or exterior space in your home. Our range of slate-look porcelain tiles range is now made up of four different colour options thanks to the introduction of our new White tiles and paving. Choose from White, Ivory, Silver or Grey to create a natural-looking slate floor that not only brings a modern look but a touch of class to any living space. Available in two thicknesses of 10mm & 20mm, as well as various texture finishes, our Slate porcelain tiles and paving are sure to be a hit for any contemporary project. Our Tirolo collection offers a sleek and stylish appearance, perfect for any contemporary interior or exterior design. Made up of three neutral colours of White, Cream and Grey with a beautiful variegated design, these modern porcelain tiles provide living spaces with a clean-cut feel that is sure to bode well many homeowners. Also available in two thicknesses of 10mm & 20mm to suit any space inside and outside of your home. When it comes to modern porcelain tiles, there's no better option than our Modena range, I mean, it's practically in the name! These tiles and paving slabs are created with a striking appearance, guaranteed to catch the eye of anyone. Two colour options of Platinum and Gunmetal provide a metal-like appearance, sure to lighten up any living space with a unique twist. Available in a 10mm & 20mm thickness option, our Modena range is able to be dry-installed using our revolutionary pedestal system for the ultimate modern set-up. For more information on our collection of modern porcelain tiles, please do not hesitate to contact a member of our customer service team today by calling 029 2080 3756 or emailing info@primaporcelain.co.uk. Even better, why not come down to one of our showrooms where you are able to see our modern porcelain tiles in the flesh!? Click below for information on each of our showrooms. PrimaPorcelain's Brand New Porcelain Products! Here at PrimaPorcelain, we are continuously trying to keep up with the demands of our customers and industry trends, allowing us to provide the very best porcelain flooring products on the market. 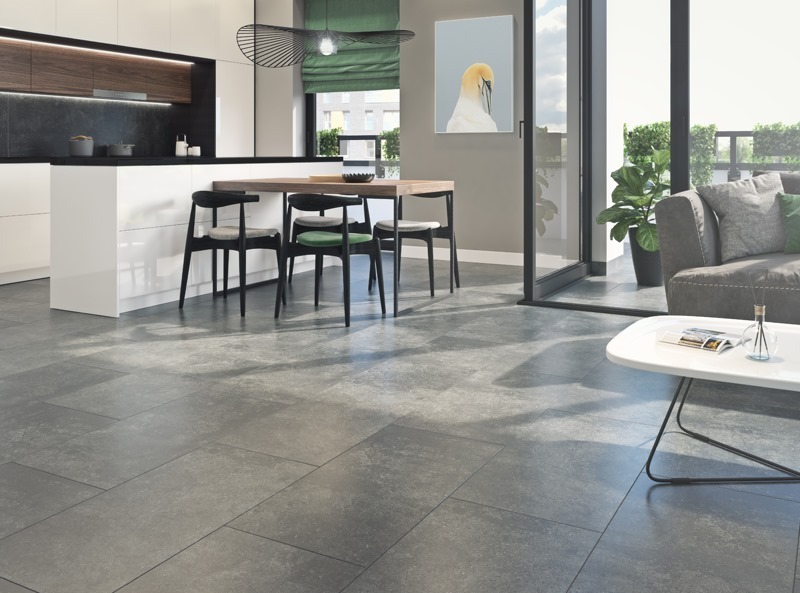 As a result, we are proud to announce our new 2019 range of porcelain tiles and paving! Take a look below to view the latest additions in our range of products and to learn a little about each of them. 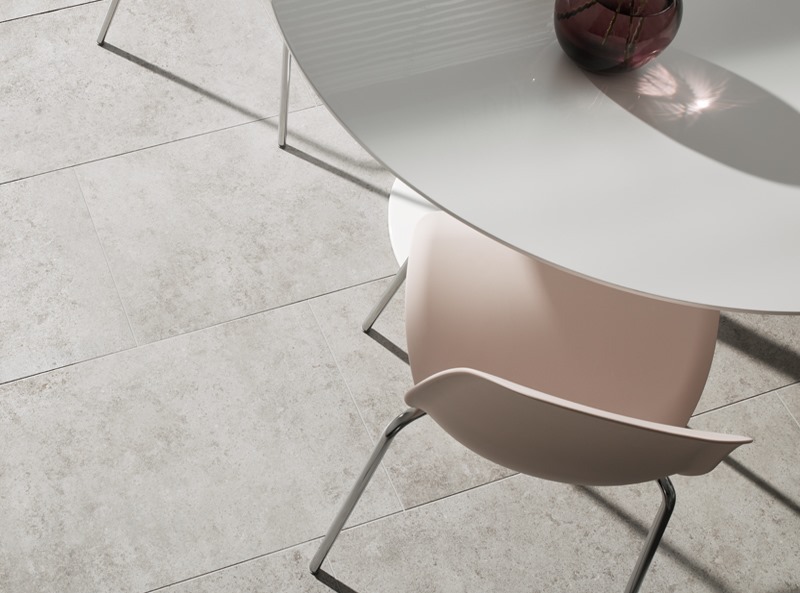 The first of our new collections of porcelain products is our Concrete range! 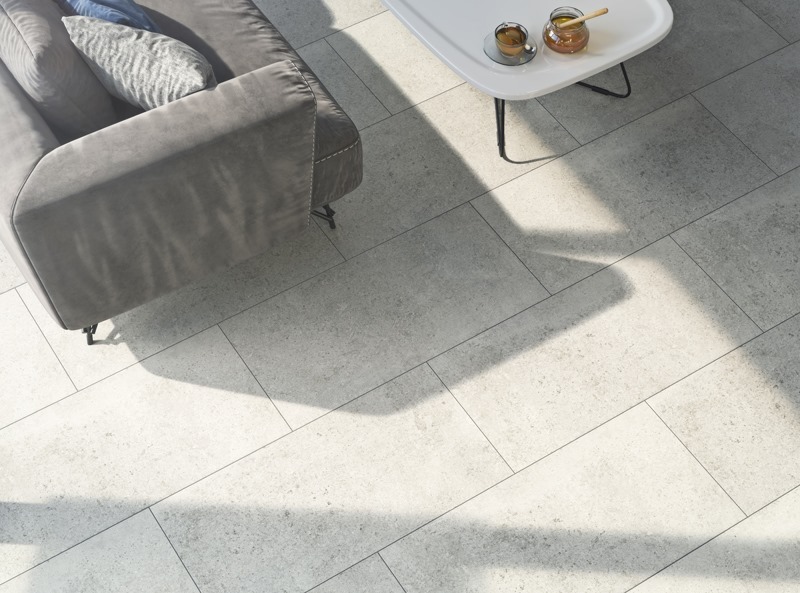 Available in three different colour options of Greige, Silver and Grey, these porcelain tiles and paving slabs offer any interior or exterior living space a natural concrete look and feel. With two thicknesses of 10mm and 20mm available, this range is able to be utilised in an array of indoor and outdoor designs, especially those looking to recreate a floor with a natural stone appearance without any of the laborious requirements. Click below to view our Concrete products in more detail! The next in our 2019 product additions is our Slate Riven range. These porcelain paving slabs come in a singular 20mm option, ideal for outdoor use. Their riven style offers a more natural slate appearance, again perfect for those looking to create an exterior living space with an authentic-looking floor. Our Slate Riven range comes in three different colour option of White, Black and Silver, perfect for a number of different styles! Click below to view out Slate Riven slabs in more detail. The final of our brand-new porcelain products is our gorgeous Turin range. These porcelain tiles and paving slabs have been created with inspiration from the ancient tradition of treating surfaces with an amalgamation of marble, stone and terracotta fragments resulting in a breath-taking finished look guaranteed to sit well in any modern or classic designs. This range is available in a 10mm and 20mm thickness as well as three colour options of Cream, Grey and Dark Grey. Click below to browse our Turin range. Want more information about our brand-new porcelain tiles and paving? Call us on 02920 803 756 or email us at info@primaporcelain.co.uk, where a member of our customer service team will be more than happy to help!